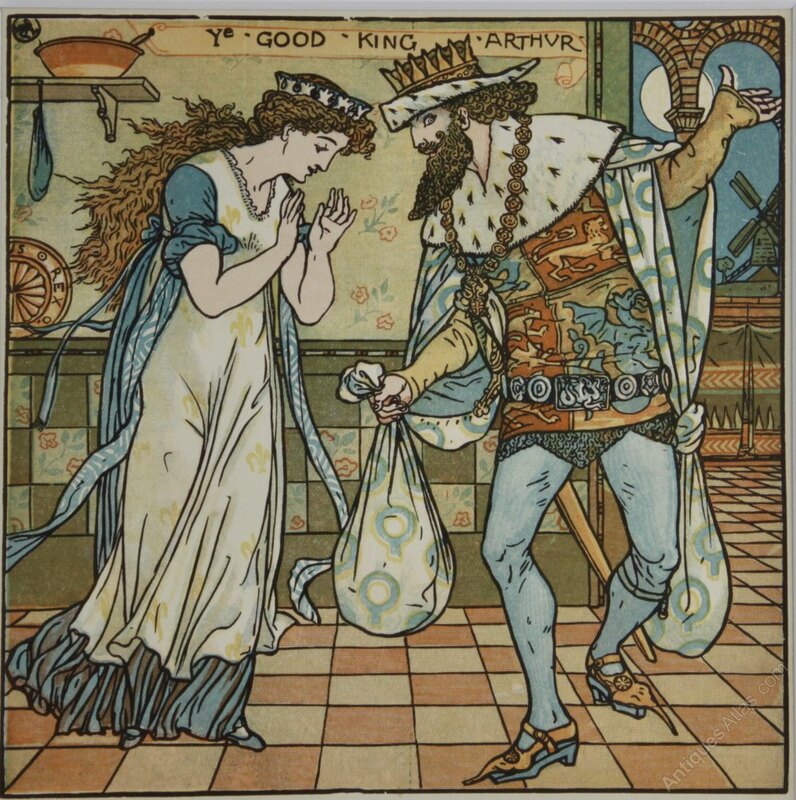 This illustration, titled Ye Good King Arthur, was taken from an incomplete copy of The Baby’s Opera, published by Frederick Warne in 1900, and illustrated by Walter Crane. Walter Crane (15 August 1845 – 14 March 1915) was an English artist and book illustrator. He is considered to be the most influential, and among the most prolific, children’s book creator of his generation. 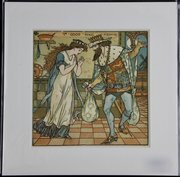 Offered in good condion, with crisp vibrant colours, the image measures 15cm by 15cm, and with the mount 23cm by 23cm. The price includes insured postage within the UK. Please contact me for overseas postage rates.